This mix of herbs will help in Prevention and treatment of: bleeding gingiva, gingival recession,inflammations and infections, bad breath. Main plants used in the production of FlorMel: Medicago Sativa, Beta Vulg, Echinacea Purpurea, Uncaria, Tomentosa, Eleutherococcus senticosus,Polygonum, Aviculare, Sambucus Nigra, Hizukmel,Salvia Off, Ceratonia, Siliqua, Eucalyptus Glob, Propolis, Alcohol and distilled water. Posted October 7th, 2018 in Fungal Infection. 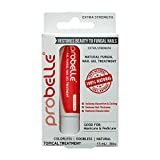 Tagged: 0.5FL, 15mL, Bacterial, Bleeding, Cavity, Dental, FlorMel, Fungal, Gums, Health, infection, Mouth, Natural, Oral, Problems, Smell, Sores, Treat, Treatment. Eliminates the bacterial film that produces bad breath. Fresh breath any place, any time. Halita Halitosis Spray eliminates the bacterial film that produces malodorous gases and prevent its subsequent growth. They are suitable for people who have a bad taste in their mouth or who would like to freshen their breath any place, any time. Posted July 2nd, 2018 in Halitosis. Tagged: 15mL, Halita, Halitosis, Health, Spray. Posted June 13th, 2018 in Genital Wart. Tagged: 15mL, Contagiosum, Health, Molluscum, Natural, Naturasil, Remover, Wart.